Phil Dinsdale: We did touch on this but I’m really interested to know how your career in game started. So it was three days into a music store and somebody recognised you, right? 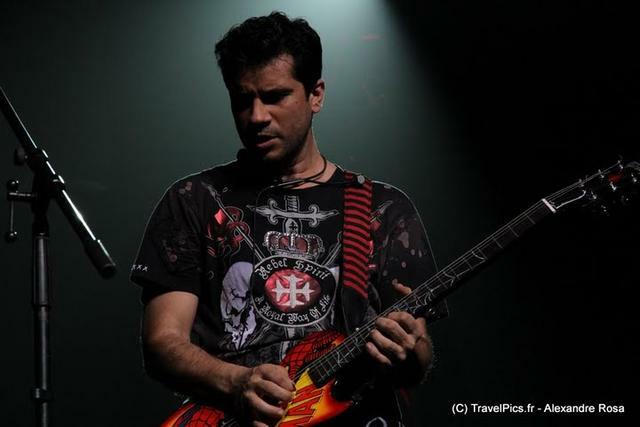 Tommy Tallarico: Yeah, I’d just move out to California, I was 21 years old, I’d left my parent’s crying on the doorstep…oldest son leaving home. I just got in my car and I drove out to California, no job, no friends out there, no place to stay, nothing. I just drove. I was homeless; when I got to California, I was sleeping under a pier at Huntington beach. TT: In my car with me I had a pair of jeans, three t-shirts, my synthesiser and a little 4-track recorder. One of the shirts I had in there, remember this was the 1990s so people back then didn’t have video game t-shirts, they didn’t sell ‘em in stores…it wasn’t a thing. TT: But one of the three t-shirts I had was of a Turbo Grafx 16. Which was a system that hadn’t even come out in America yet. It was a Japanese video game system. The way I’d gotten the shirt is the summer before, Turbo Grafx had set up a booth at a fair in Toronto. I was visiting my mom and I made her drive me an hour and take me to this thing so she could stand in line and so I could play this new video game system. I’d read in a magazine that they were coming. So, when you’d played the game you filled out a form and told them what you thought of it and you got a t-shirt. So this thing was my big prize, my trophy. So my first day at work, I wore this shirt. The very first customer I waited on, literally the second or third person I talked to in California, happened to work for Richard Branson. And I was like: “Yeah, I know everything to know about video games”, because my two biggest loves growing up were always videogames and music. PD: Yeah sure, makes sense. 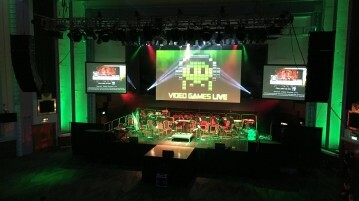 TT: So I was in California three days and I was in the videogame industry. I was homeless for about a month, because I didn’t have enough money to get an apartment or anything…everyday, for like 6 months I would bug the Vice President of the company “please, if you ever need music, let me know! I’ll learn how to do it, you don’t have to pay me. Just give me a chance, if you don’t like it, you don’t have to use it”. PD: Ha ha, simple as that! TT: That’s how it started, yeah. PD: So, you went from home to driving to Cali, to sleeping under a pier, to working in a music store and then games. Then you never looked back, I guess? TT: Yeah, exactly I was at Virgin [Games] for about four years and worked on some of the biggest games of the early 90s there: Cool Spot, Disney’s Aladdin, Terminator, The 7th Guest….and then After Aladdin it was me and David Perry and Doug TenNapel, we had a team of guys there who’d worked on three big hits, all award winning games. We’d done Global Gladiators, then Cool Spot, then Disney’s Aladdin. 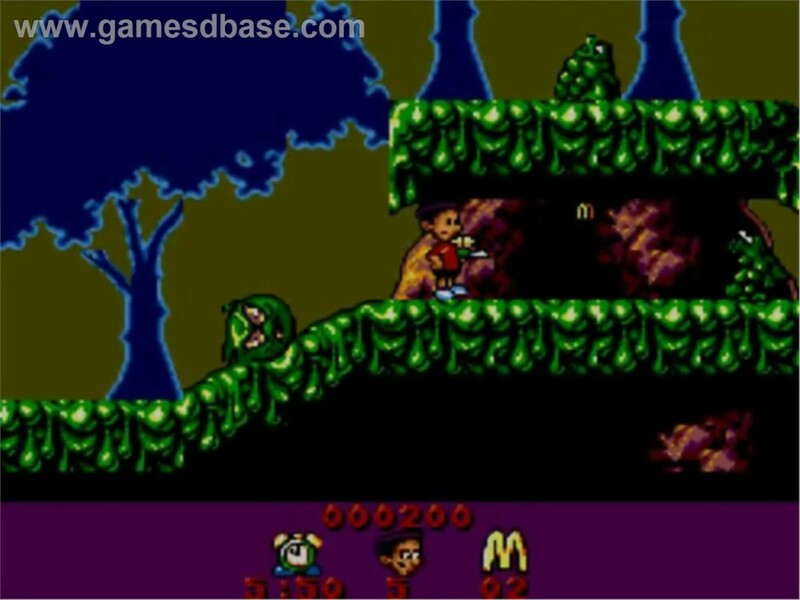 Global Gladiators – McDonalds-Themed Platformer/Shoot ‘em Up! Then at that point we left Virgin. David formed Shiny Entertainment because he wanted to do Earthworm Jim with Doug. David was my best friend and he says, y’know “why don’t you start your own company? Everybody from all the other companies are asking you to go and work for them”…I was getting calls like every week, I’d won four years in a row now, the best music award, for different games that I’d worked on. PD: Oh wow, what an accolade. PD: Ha ha, well why not?! PD: So the first game you worked on, you know, ‘fully’ was that Earthworm Jim? PD: What was your role in Earthworm Jim? Was it just ‘Composer’ or did you get your hands dirty with other things? TT: There was about 10 of us on the team, we were like brothers. The whole idea of Earthworm Jim – we didn’t have a game design document – we just all sat in a room for a year trying to make each other laugh. PD: Hehe, that’s a great way to do it. TT: Anyone who had an idea that was funny…we used it! We;d be sitting around a table and somebody would say “Hey, what if Jim launched a cow at the very beginning of the first level and every level you saw that cow zoom across the screen at some point. Then at the end it could smash and kill the princess”. It’s stuff like that, if we’d had a game design document, it would never have made it. PD: It’s fascinating that you say that, because I spoke to another designer who said that they don’t use a central game design document. The difference now, as I’m sure you know, is that people go to university to make games…[so I guess it’s assumed that documentation would be part of the deal]. TT: That’s right, yeah. Also, the thing is too…the people that want game design documents are never the designers really. It was the companies paying the developers to make the games because they wanted to make sure that things were on time and we had milestones and proof why they should give us money. Companies ended up spending 6 months trying to make a game design document instead of making a damn game! PD: Obviously, I write for Creative Gaming which is focused on indie games and independent projects…Would you say that [a free creative environment]is dying out now, in terms of the larger companies, because there seems to be so much red tape to go through, so much PR. TT: Well, I mean mobile gaming replaced all of that in the console and PC world. When I first started in the industry 25 years ago, it was 3 guys in a room making a game. 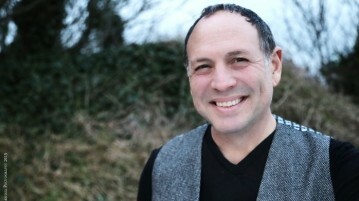 You had: an artist, a programmer, maybe an animator…maybe grab somebody to do some music or something…and that was it! TT: Then when games really blew up with PlayStation One and the N64, Xbox later on…then you had teams…I’ve been on teams where I was hired at companies like EA as an independent, but I’d work on games like the Madden Football games or some of the James Bond games and I’d have like 3-400 people on my team…and 5 producers! But now, you’re seeing it come full circle. Now 3 guys in their dorm room can make a million bucks doing a cool mobile game! TT: That’s where all the independence and creativity is coming from. Imagine if somebody brought a game design for Angry Birds to EA and said: “hey, give us ten million dollars to make this game”…they’d be laughed out of the office. PD: I was actually going to say that Rovio and Angry Birds was probably the start of the little guy getting big again, wasn’t it really? PD: I know you’ve done so many that this will be difficult [to answer], but what’s your favourite project that you’ve worked on? PD: It was Earthworm Jim? TT: Yeah and it was because of the atmosphere, because of the people, we were all friends. None of us were married or even had girlfriends back then really. We were just all young guys and we’d hang out and work 16 hours. Then at 8-9pm instead of going home we’d go out and have fun and think of other ideas. Or something funny would happen and we’d say “let’s put that in the game”. We’d be sitting around the table and “we got that asteroid level to work on, what kind of music should we do? Should we do like Star Wars?”…“No, people would expect that!” I’d say “let’s do Banjo music, bahaha!” We’d all laugh and the next day I’d go in and start writing a banjo tune. I’ve worked on a lot of really big things, but Earthworm Jim; that was an experience like no other. 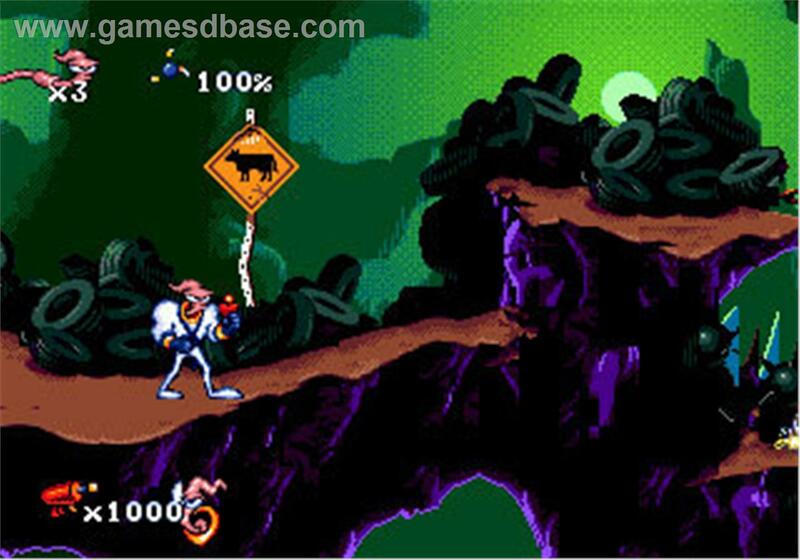 Of course after that we followed-up with Earthworm Jim 2…it’s just one of those magic moments. Now, we haven’t really talked about this too much, but we’ve been trying to get together (we actually almost did about 6/7 years ago) the team because we wanna do another Earthworm Jim game! PD: No way! That would be great! TT: Yeah…and Interplay won’t give us the rights! TT: Yeah I know, we had the whole team back together: Nick Bruty, David Perry, Mike Deeds, Doug TenNapel, Me…and we were having meetings. We started sketching out a game design and took it to interplay…and they wouldn’t cut us a deal. So now we’re trying to buy the license and they won’t sell it to us! So, we’re just going to wait until they finally go out of business…then buy it in an auction or something. TT: We’ll do a Kickstarter…I mean, imagine the Kickstarter? It’ll probably be the biggest game Kickstarter, ever! PD: Yeah, they’re getting big aren’t they. Obviously Shenmue III had huge success. TT: That other one too: Mighty No. 9, the guy that did Megaman…that was another one that blew up really big. PD: I just want to close by asking: what’s your favourite game to play, of all time? TT: I’ve been asked that question a million times! PD: I bet you have. I then say, ‘Good, now we work on it for 6 more months.’” Hahaha! PD: Hahaha, wow, that’s amazing! TT: Right? Think about that. You’re a game designer. Imagine you finally finish a game, then for the next 6 months you’re gonna have to refine it tweak it…I mean it makes sense right? PD: Of course it does, he wants it perfect. TT: When you play Super Mario World, you see that perfection…Everything in that game is perfect. That being said, I’m going to give you two answers. TT: If I was on a Desert Island…it wouldn’t be Super Mario World, I think that’s the most perfect game but the game I’d bring with me would be Red Dead Redemption because I like the old West, I love the interactive score in that game…and it’s such an open sandbox, you can do so many amazing things…That to me, I think would be the game I took on a Desert Island. PD: Yeah, it’s a great game. You can definitely lose days and weeks in that one. PD: Sorry, I just have to ask one more question, because I am a Nintendo Super-Duper Fan! PD: Me and my friend [Terry] have spent years watching E3 press conferences and sharing memes of Shigeru Miyamoto, characterising him to be this really eccentric but happy-go-lucky chap…I mean, the guy’s a genius, there’s no doubting that. I know that from the games I play and I’ve got a lot to thank him for. Some incredible childhood memories and of course more recent memories. What is the Man, the Myth and the Legend like in the flesh? What’s he like to work with? TT: I think he’s very down-to-earth. He’s not one of these ‘rules with an iron fist’ kind of guys. He just comes up with things and ideas which are so obvious, yet so outside the box. I’ll give you an example. TT: Me and Miyamoto have known each other for 25 years. The first time I met Miyamoto was in 1992. This was before they had E3. Games used to – before we had our own conference – be part of CES in Las Vegas. I’m in Las Vegas, the Earthworm Jim team, before we’d done Earthworm Jim (like I said, the first game we’d all worked on together was a game called Global Gladiators). I was doing music and I was still testing games for Virgin at the time. They had me come out to Vegas and one of my jobs at the booth was to show people our games…So even though I was the musician, I was doing level design…you did everything back then, right? I’m like “Oh My God!” You know, freaking out! So here’s my Miyamoto story: I was doing the sound design, mostly sound design is part of what’s called post-production. Like when I’m working with Cliffy B on the Unreal franchise, he might say “here’s an animation of a chainsaw gun”, now do a sound for it. So you need to see a visual in order to create the sound, right? TT: This is what Miyamoto said to me: “Tommy, I don’t want you to be restricted by a visual. 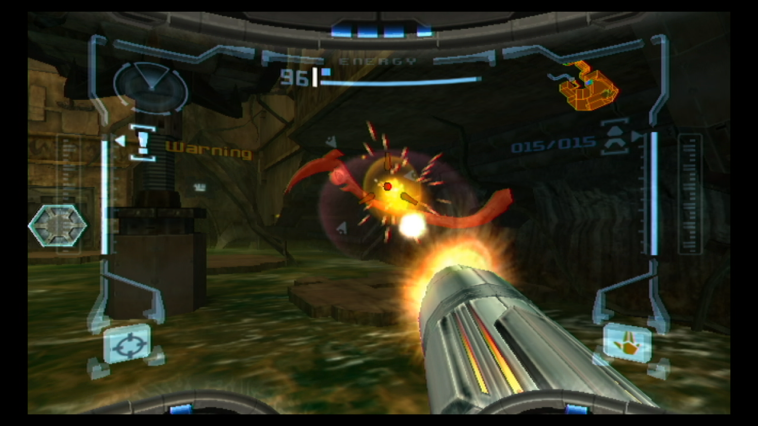 I want your imagination to drive this…I want you to create weapon sounds for Metroid Prime and I’m not going to give you a visual. I just want you to create the most incredible sounding things, ever. Then I’m going to give those to the artists and they’re going to create weapons around your sound”. TT: So, not only is he letting my imagination go crazy, but the animators as well! TT: Miyamoto isn’t a guy who sits down and tells you how the gun has to be, he picks talented people, puts the power in their hands and directs them. Whatever you think is the right way to design, whatever you’re taught in school, he’ll think of a better way to do it. He just thinks differently. PD: He’s my hero. Just completely outside the box. TT: Yep, great hero to have. PD: Yeah, nobody touches him for game design for me. I can’t think of anybody who comes close to his [brand of genius]. 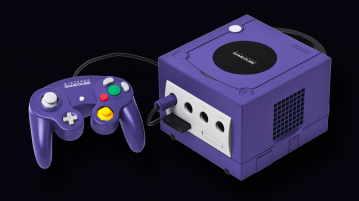 PD: That’s a wonderful story, was that Metroid Prime for the Gamecube? TT: Yeah, sure was. I worked 5 years on that game. PD: I had that on release, it was a great game. So that must have started in the mid 90’s? PD: That’s amazing. To think we didn’t get it until 2003 in Europe. Incredible to think that the [3D] technology was around at that point…well what a wonderful set of stories. Thank you so much for your time, Tommy! TT: Sure, make sure you send me the link [to the article]! Thanks Phil!